It’s that time of year when we move into the season that we’ve essentially dubbed, the ‘Aussie 100s’ season. Why may you ask? Well the period around September and October is where we see a glut of 100km and 100 miler races hit the calendar and this year we’ve got a few new entrants into the piece to chat about, as well as our usual suspects too. No less than eleven fall into a two month period, with the CP Ultra taking place this weekend too. I hope I’ve captured them all, if not and you feel outrageously hard done by -don’t rage – drop me a note at dan@ultra168.com and henceforth, I shall make amends where reasonable! Given we’re just a few months away from this spate of races, if you’re still deciding which one to place some focus on, we’re hopefully going to help you make that decision with some thoughts of our own, given that we’ve raced a fair few of them, giving you some experienced guidance in the process. We also hope that it will serve as a temptation for some of our international readers to think about making the trip over to Australia for something other than The North Face 100, which appears earlier in the calendar year in May. While it’s great to see more and more races on the calendar here in Australia, one of the thoughts to hit us though is whether or not there are too many races focused in such a short space of time? Although Australia is a very large land mass, our population is very low in comparison to that mass, with our ultra running population being pretty niche too. There’s no doubt that trail and ultra running are growing in popularity, but I personally can’t help but worry for some of the races on our calendar and whether they’ll be still going in five years time. With nine 100’s appearing over the course of two months, there’s a hell of a lot of choice for runners not just in their own State, but if you wish to travel too. Here we give a run down of what’s going on, and some brief blurb if you’re still deciding which race to run. But what for the forthcoming months? The weekend of September 13th / 14th sees three races taking place – which when I first found out, I thought was a little crazy. On a personal level it was disappointing as two of my own favourite races in Australia, the Glasshouse 100s and GNW 100s now land on the same weekend. I also know many runners who like to run both, so timing could be a little better if we’re honest. Hopefully however it won’t always be the same as the Glasshouse 100s is run on the second weekend of September, so there will be some years it doesn’t clash, but to be honest, who’s going to run two consecutive 100 milers? Well I know some people will! The Glasshouse 100s: This is the grand daddy of Australian ultras in that it was the first 100 miler set-up here. Run by the ever enthusiastic Ian Javes, a former Westfield Sydney to Melbourne runner, this community event is popular not necessarily because of the course it’s run on, but moreso the fact that the people who run it and volunteer are a great bunch. It’s almost modelled on the Western States style, with checkpoints at least every 10kms, meaning very little in the way of gear needs to be carried. Indeed, I believe the only gear requirement is a 500ml bottle. For this reason, I love Glasshouse. I’ve done 3 x 100kms here and a few 50kms too. It was the scene of my first ultra and I’ve left a lot of pain out there. It’s also a great one for a first timer too, given the relatively low vertical in the race (around 2,000m vert), and the fact that it’s mainly run on open fire trail tracks. Get involved. The Great North Walk 100s: This race has been my nemesis for years. I’ve failed here a lot. Mainly because of lack of preparation, but also because it was formerly run in November and temps would reach well into the 40s during the heat of the day. It’s like a cauldron in there, mixed with some brutal climbs, snakes, leeches and anything the Aussie bush can throw at you. The 100 miler is also 108 miles – it’s like a sadistic little joke that the race likes to play on you. The race has now moved to September due to the fact that fire bans would almost make this run impossible in the heat of November. In that regard the race has lost a little bit of what made it so incredibly hard, but it’s still brutal. I still rank my 29hr finish in the miler here back in 2010 as my most memorable finish in an ultra. The Surf Coast Century 100: I’ve not personally raced this one, but I know the area well having run the GOW100 twice. 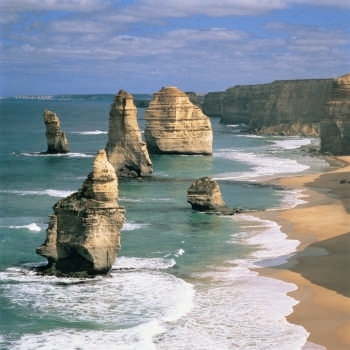 It’s a spectacular section of coastline, which is often described as some of the most beautiful in Australia. There’s cliff top trails providing endless ocean views, there’s single track that weaves through the hinterland bush, there’s wild flowers, water falls, lighthouses, beaches and a whole range of other jaw dropping landscapes. It’s one I’d like to get down and run, and I hear there are a few big guns racing this year too. Waterous Trail on Foot (WTF100): It’s about time Western Australia got its own race and Aussie 24hr rep, Dave Kennedy has stuck his hand up in the air and set this one up. Similar to Glasshouse in terms of terrain / elevation gain, this one is another race that would be good for beginners to get their kicks around. It also has probably the coolest title of any race around too. Sri Chinmoy Canberra Centenary 101: Another race on my hit list, this one was set-up to celebrate the Canberra’s 100th birthday, so in line with the fact that Canberra will be 101 this year, the race has extended its length by another km. The problem is that they’ve set a precedent now, so entries might be slightly limited in 99 years time! All that said, this is another fairly quick course with around 2,500m of vertical gain as you loop around the trails of Canberra. Starting and finishing at Regatta Point, the route explored Parliament House, Red Hill, Isaacs Ridge, Farrer Ridge, Mt Taylor, Mt Arawang, Cooleman Ridge, Stromlo Forest Park, the National Arboretum, Cork Oaks, Aranda Bushland, Black Mountain Reserve, Mt Majura, Mt Ainslie and Lake Burley Griffin. Heysen Trail 105: South Australia also has its own little race in late October. Traversing a 105km section of the 1200km-long Heysen Trail, competitors experience the best trail running has to offer in the state, taking in rolling farmland, sandy forests, rocky hillsides and lots lots more. The Heysen Trail, at over 1200kms long, is one of the longest and most spectacular hiking trails in Australia. Hume and Hovell 100: Back in the day before ultra running became cool in Australia, Ultra168 founding members Andrew Vize and Darel Robins ran the entire Hume and Hovell track (440kms), in just over four days. Now there’s a race on this track that’s steeped in history. The event uses The Hume & Hovell Walking Track, constructed as a Bicentennial Project in 1988. The walking track follows as closely as possible the historic route taken by Explorers Hume & Hovell on their 1824 expedition to Port Phillip Bay. 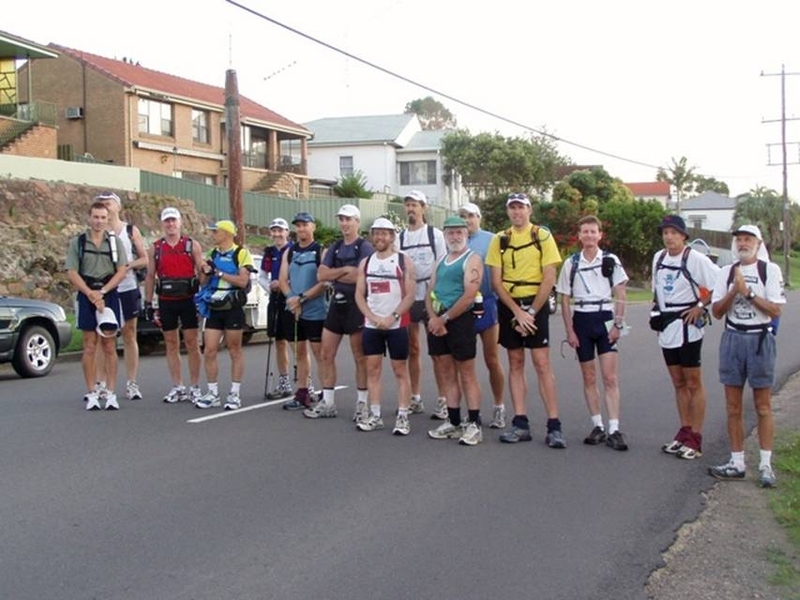 Great Ocean Walk 100: I personally love this event having run the 100kms twice. It’s also the only race I’ve ever had a podium finish on 🙂 Similar to the Surf Coast Century, the track follows some of the most spectacular single-track in Australia along the Great Ocean Walk hiking trail. The views are breathtaking and being a point to point race, you finish at one of Australia’s most well-known attractions, the Twelve Apostles. You run forest, bush, cliff tops and sand. It also provides a happy medium in terms of difficulty. While it’s accessible to beginners, it’s also a fairly challenging course with around 3,000m of vertical ascent, and plenty of undulation throughout. Andy Hewat, an Aussie ultra legend and five-time Hardrock finisher is also race director – no word of a lie, he is the best race director in Australia. 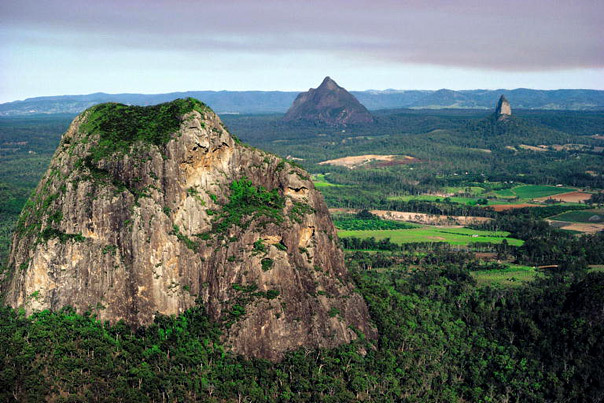 Ned Kelly Chase 100km: A race I’m yet to run, but have been tempted too. The race has an interesting concept in that it is designed ultimately to celebrate the efforts of the 100km journeymen (and women), by getting pretty much all runners to finish near 2pm. You chose your start time based upon your ability. The early starters will be chased, and those starting later do the chasing. A picturesque, flat course consisting entirely of bitumen sealed cycling path with just a few sections of concrete footpath (not more than 2km in total). The course starts and finishes at Apex Park Wangaratta and consists of a 50km out and back loop on the Murray to Mountains Rail Trail, and then a 50km out and back loop on the Ovens River, One Mile Creek and Milawa / Oxley Rail Trail. Blackall 100: This is a new one to the list set-up by the good folk in Queensland. They have big plans for the race, with designs on becoming the ‘TNF100 of the North’ so to speak. 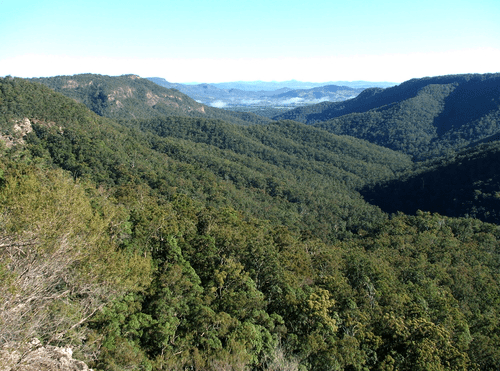 This is the first time access has been granted to stage an event on The Sunshine Coast Great Walk and the event covers some of the best trail in SEQ that has hitherto been inaccessible. The event is aiming to offer something a little different and alternative in the Queensland market, so it will be interesting to see how these guys fair. Run by Alun Davies and Brett Standring of Run Queensland, both these guys have numerous experience behind them from their time running the Glasshouse trails. The Alpine Challenge: This one is for the slightly ‘more serious’ ultra runner. With over 7,000 metres of climb and 7,000 metres of descent, this event is the classic 100 mile mountain trail run in Australia; testing runners to the limit. 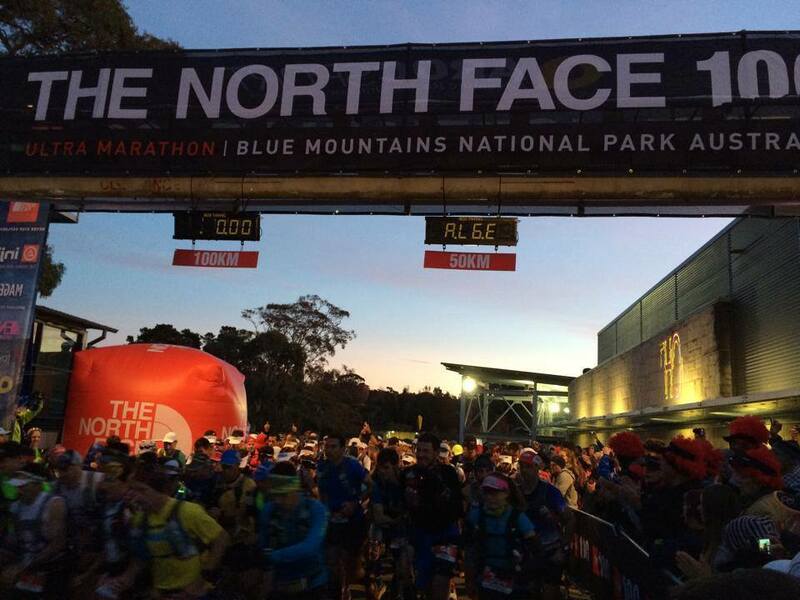 Set in the spectacular Alpine National Park in north eastern Victoria the event takes in some of the best, hardest and most exposed high country in Australia including Mt Feathertop, Mt Hotham, The Fainters, Spione Kopje, Mt Nelse and Victoria’s highest mountain, Mt Bogong. So there you have it. A plethora of running events, and so little time to complete them. The decision is which one do you choose to ‘run’ with? There’s also River Run 100 on the 24th August in Brisbane and Tan Ultra 100 on the 31st August in Melbourne. Like the CP Ultra both are road based and both are loop races.